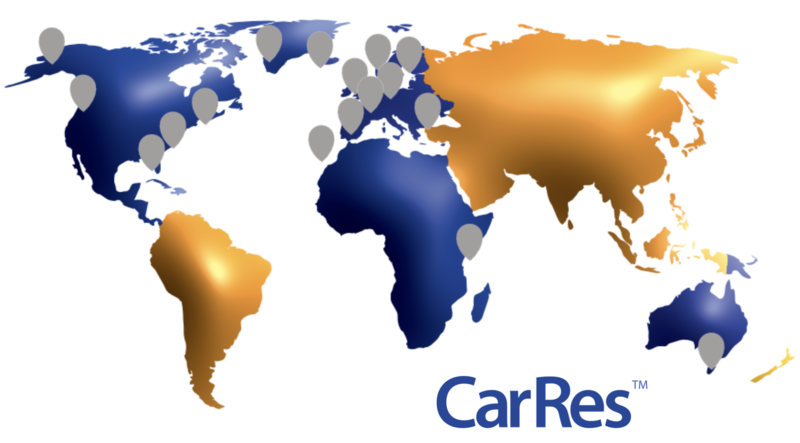 We are releasing CarRes 4.8.0! Since our last major release of 4.7.0 in March, we have added 118 new features and minor enhancements. In the following list we have picked some highlights. A comprehensive content of all the releases is found in the Knowledge Base. The Package travel directive from the EU increases the right to the consumer who makes a package travel, for example if she includes both ferry transportation and a hotel in the same booking. To address the requirements, CarRes now have functionality to automatically classify a booking as a package booking based on certain criteria, to send special documents to the customer making a package booking and various other related features. Read more at EU’s website and on kb.carus.com and even more on kb.carus.com. Please note that the implementation of the directive might be slightly different between different countries, and CarRes currently have the Finnish interpretation implemented. Carus are happy to discuss any further developments to support any other national interpretation. No one in the EU could have missed that the GDPR directive has come into effect in the EU. It is now possible to anonymize bookings, customer profiles and name lists, either manually one by one, or automatically when the data is no longer needed. We have also improved the options to search for bookings using personal data. For any ferry operator who need an accurate exchange rate between currencies in CarRes, it’s now possible to have it automatically updated from a third party of CurrencyLayer. Carus continues to add ANPR capabilities to its front ends. This latest version include support for using ANPR records in the inhouse UI. Simply hit Shift + F11 in the booking screen to bring up the latest ANPR records. The new screen allows the user to a) quickly open existing bookings with a matching registration number or b) create a new booking for the departure currently open for check-in. Clients using the inhouse UI for check-in can now utilize ANPR to speed up check-in and provide a better customer experience. We have added support to dynamically turn on/off selected tags and/or fields within the boarding card QR code data creation. It is possible to make specific settings for the boarding card layouts supported. CarRes has been enhanced to support Travel Insurance to be sold within a booking, and allow Amendment Fees and/or Cancellation Fees to take the insurance rules into consideration when calculating the fees. The Insurance can either be sold per journey, or can be configured to be verified against booked categories (i.e. the insurance must cover all booked passengers). (For anyone with a good memory, there was some insurance functionality in CarRes previously, but it has been removed and replaced with this development). CarRes is enhanced with a new job to import Voucher Codes from a .CSV file from external partner. When an external partner issues vouchers with monetary value for payment of bookings in CarRes, this job is used to generate CarRes Vouchers based on the .CSV file import and connect the CarRes Voucher ID to the External Voucher ID issued by the partner. The External Voucher ID can then be used as a method of payment for on-line sales and it can be tracked and reported in back office processes. CarRes has for quite a few years supported e-tickets, which is a functionality where the customer is given some form of re-usable ticket (typically a plastic card), which they can use for turn-up and go bookings, and they are automatically debited at the time of making the booking. This feature has been further developed to support stored card (tokenization), so that the customer can register their credit card on the Standard Web and associate it with their e-ticket. When the customer then turns up at the port, they can scan their e-ticket (in a gate or scanner) and they will instantly have both a booking and a payment made for it. This is digitalization in action, making the journey a breeze for the customer. Note: This feature requires that your payment service has support for stored card feature, and that the stored card feature has been implemented in CarRes for that payment service provider. The Carus Mobile App is now available to all Carus clients! The app make it easier for end customers to access bookings, travel passes and timetable information on the go. Web booking flows can be seamlessly embedded into the app allowing customers to be automatically logged in and book their journey from within the app. Responsive web pages can be integrated into the app allowing clients to present additional web content like service information and marketing pages in the app. 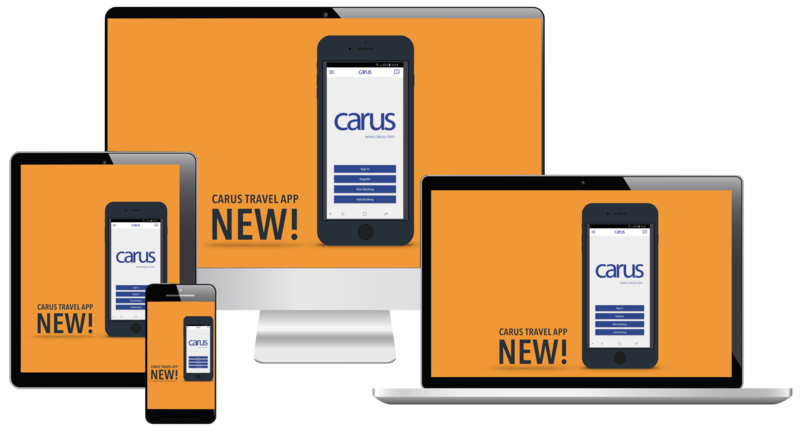 Utilizing the Carus Mobile APIs, the app integrates with the reservation system and using the Push Notification API, booking, service and marketing messages are targeted to relevant customers. Contact your sales representative if you would like to know more. The Scanner App is enhanced to support Namelist functionality for selling tickets to a journey where the Namelist information is required. The user can add names on the Namelist with the scanner. The Carres Loading App has been enhanced with new columns available for extended vehicle information. Additionally, it is now possible to make a loading note in the app indicating where onboard the vessel the vehicle is loaded. A vessel-specific list of values is possible to set up in CarRes registry. The selected value is saved on the booking and displayed in the In-house interface as well. It’s possible to update the currency exchange rates in CarRes using the Currency API. The purpose of the Mobile Travel API is to support use cases that are relevant for an end-customer app focused on the customer journey experience (i.e. starting from once a booking is made until they have completed the travel). This includes handling the bookings, ticket books, and having check-in information at hand. 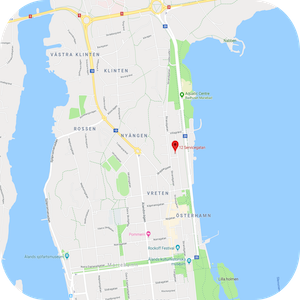 The Mobile Timetable API has been designed for the purpose of allowing a third-party application or website to display departure time tables using information directly from CarRes. This way, the application/web can always show up-to date information following any changes being made to the schedule in CarRes, for example when new departures are added, canceled or changed (for example due to bad weather). The Mobile Booking API is designed for a third party to create an e-commerce site or mobile app that the end-customer can use for making and modifying bookings. As we have previously announced, 4.8.0 will no longer run on Oracle DB 11g, but require the 12c version. If you’re a managed service customer, you have already been upgraded unless otherwise informed. We are currently testing Forms 12 out in our internal environments. Depending on what we find, we’re expecting Forms 12 support in a release later this year. In parallel we are working with removing the dependency of Internet Explorer. We will share more information during the autumn once we have a complete view of the changes and how we will roll them out. What is clear at this point is that release 4.9.0 (to be released in March 2019) will no longer support Forms 11. With 4.8.0, we have completely re-invented how we do release notes. Carus’ release notes have previously been elaborate description of what has changed, and with years of releases, it has been difficult to get a complete picture of how the system works as of today, as it have required one to find all relevant release notes and combine them together. From now on the purpose of the release notes will be to help you to identify changes that have been made and that are relevant to you, and to provide you with a link to the Knowledge Base where you can read more about the complete feature and the development. This means that we can move our focus to the Knowledge Base and giving it all the love and care it deserves. With the Knowledge Base holding the description of how the system works today, you will easily get the full context of the development (not just what has changed), and Carus will be able to remove information that is no longer relevant (due to development). It will also make a great difference to our internal processes, as we will be able to put a lot more resources into the Knowledge Base, which will even further accelerate the quality of the Knowledge base, which in the end will bring more value to you. The Cart Abandonment add-on to Carus Standard Web allows "Cart abandonment e-mails" to be sent to relevant Customers who have abandoned their online booking. It allows the receiver of the cart abandonment e-mail to recover the preliminary booking as they left it, and complete the purchase. It enables a Standard Web administrator to create and maintain automatic email reminders to be sent to these (potential) Customers and decide when they should be sent. As follows, the add-on will provide assistance to the Customer to complete the purchase, recover lost sales and claim additional revenue. Contact your sales representative at Carus if you're interested, and we'll help you! Auto-login support has been added to the modify booking functionality in Standard Web. This allows external sources like email booking confirmations sent to customers to contain a link that takes the user straight to the booking without having to log in. 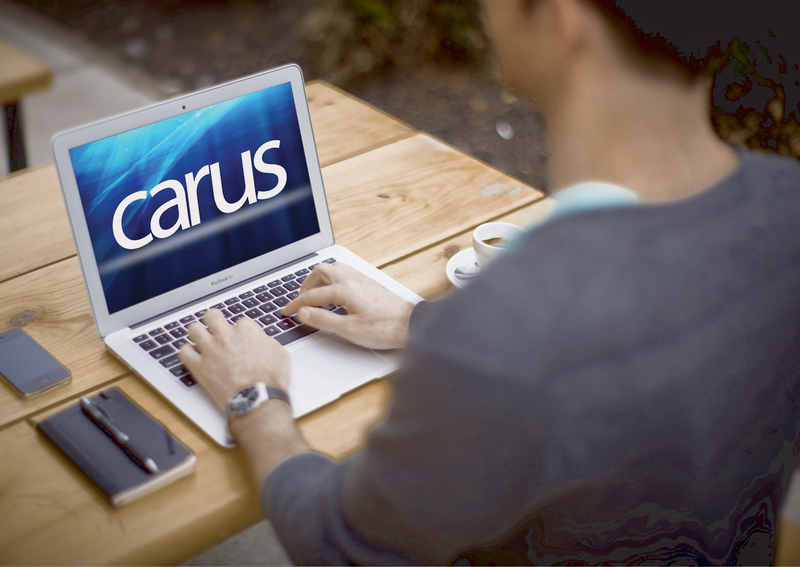 When the Customer logs in on an external system, such as the Carus Mobile App, using the Customer ID and Password saved in CarRes, a Login Token can be generated and returned. When the Customer is re-directed to the on-line booking site from the external system, the saved token can be used to log the Customer in on the on-line booking site automatically. This feature removes the need for the user to log in again when navigating between the external system and Standard Web. The same login session can now be shared across the systems and the user only have to log in once. Now it is possible to display fields for Cargo Descriptions (free text) and Customs Codes in the Details section of the Book page in CargoWeb. These fields can be displayed or hidden by configuration. A configuration option is added to open a checkbox in CargoWeb, Book page, which makes it possible for the Freight Customer to indicate the third country transport status in intra-EU traffic for proper VAT handling. In Hazardous Goods details part of the Book page in CargoWeb it is now possible to display or hide fields by configuration. The fields concerned are Net Weight, Gross Weight, Flashpoint and Comment. A Country Code field with list of values is added to the Shipper and Consignee fields in the Cargo Booking form. This ensures that correct codes are used and the values can easier be used e.g. in reports. CarRes can't prevent a ticket printer from jamming when you're in the middle of printing a bulk batch of tickets. However, in this release we have added functionality to make your life a little bit easier in that case. The bulk check-in form has been extended with functionality to resume a previous print session from the point where your printer gave up. Have you ever had problems reaching a customer due to the phone number on their booking being incorrect? A lot of our clients have problems with the quality of data on their customers. In CarRes 4.5.0 we included functionality for integrating with the third party service Experian QAS, which enables your in-house staff to easily validate that a phone number is valid. In this release, we have extended the functionality to also support validation of postal address. While this has been developed for a non-EU client, this is a particularly useful tool for our EU clients for improving compliance with the GDPR directive from the perspective of data quality. Experian QAS has coverage in all of the countries our clients operate in. Read more about it in kb.carus.com and www.edq.com. Contact your sales representative at Carus if you're interested, and we'll help you! Now it is possible to define a price row where the price is dependent on the vehicle width or total weight. New columns for Width Min/Max and a checkbox for Total Weight are added to the table in the Price Group Standard and Advanced forms. Now you can automatically inform your freight customers of their fulfilled shipments on a sailing. A new Customer Shipment Advice Report is created. It contains the basic information of freight bookings which are checked in to a sailing, or sailings, depending on the configuration. The report can be sent automatically with a scheduled batch job, e.g. just after a departure, or you can also send it individually to one customer from Generic Reports menu. The e-mails are sent to e-mail addresses which can be defined with a specific Contact Method in the Customer Record. The customer contacts the ferry company via phone or face-to-face and a booking is created by your staff. The customer has (for example) 24 hours to complete the payment, and can do it on their own computer or smartphone. As soon as the payment has been done, PayByLink will notify CarRes and the payment will be marked as completed also in CarRes. Please note that PayByLink must have an integration with your payment service provider or acquirer. At time of writing, it's only the EU-customer who ordered this development and our US clients using PayPal who can use this functionality out of the box. But PayByLink is constantly extending their list of supported payment service providers and can also make integrations upon your request. Read more about it in kb.carus.com and www.paybylink.eu. Contact your sales representative at Carus if you're interested, and we'll help you! Coming soon in 4.7.1! This API will allow your users to subscribe to notifications in a app, e.g. the Carus Mobile App. And allows you to send notifications to your customers based on e.g. upcoming departures, products, categories or customer groups. The Public Mobility Service API allows you to access departures and check availability for the purpose of providing third parties access to your schedule according to the requirements of the new Mobility-as-a-Service regulations in Finland. Compatibility with browsers and devices other than the above is not guaranteed and not covered by the SLA. Standard Web will most likely work on any browser or device not represented on the list, however the list reflects what Carus tests and therefore officially support. We are currently in the process of migrating our platform from Oracle 11g to Oracle 12c. For our managed service clients, this is a fairly discrete change as our managed service team is doing most of the work for you. For our self hosted clients, we would like to inform that version 4.8.0 of CarRes (to be released autumn 2018) will no longer support Oracle 11g. We are currently looking at how and when to make a switch form Forms 11 to Forms 12, and we will let you know when we have dates and more information. What we do know today is that the migration will be fairly seamless for our managed service clients, you will continue to use Internet Explorer and the same URL, and there is no visual change either. So what we're hoping is that you will not notice any difference at all. In the long term, Forms 12 will enable us to switch from running CarRes in Internet Explorer to a Java Web Start application. More information on this to come during the autumn. We're all human, and probably most people reading this has at some point mixed up the production and test system. To help you tell the difference, we will during April and May implement a different colouring of the CarRes forms for the test environment. At the same time, we will also take the opportunity to make a slight visual update of the production environment. Please note that this improvement only applies to our managed service clients, as the changes are done as part of the hosting rather than a CarRes version. As you all know, IT-security requirements are constantly increasing, and at the moment the whole IT industry is upgrading their encryption capabilities particularly for end-to-end communication. The industry standard for encryption is called TLS encryption and the industry is now applying best-of-breed version 1.2 while closing down support for version 1.0 and 1.1. Our consumer webs, agent web and cargo web all currently support TLS 1.0, 1.1 and 1.2 encryption between the web and your customer's browser. We will close down support for TLS 1.0 and 1.1 during April and May. This could in theory affect your end customers if their browser does not support TLS 1.2. However, in practice all major browsers (Chrome, Internet Explorer, Firefox, Safari etc) support TLS 1.2 since several years back, and no one should be using one of the really old versions of the browser for their own security. As said, this is an industry wide migration, so their Internet bank and different payment pages (integrated with Cares web) have already required this for a while. For our clients who have developed their own web front end, we advice you to check that your web partner also does this kind of update. Note! New Standard Web functionality might require additional licensing and visual adjustments in client-specific themes in order to work. A new shortcode has been added that allows the user to quickly get driving directions to a port and directly see the upcoming connections and departures. 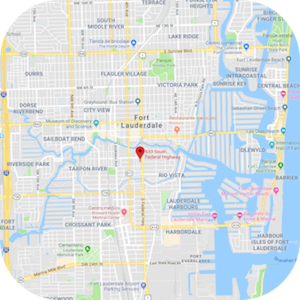 Availability is shown and there's even a direct link to start Google Maps navigation to the port. Determining whether you can make it for the next available departure and getting there has never been easier! Read more about it in kb.carus.com. Support for quickly removing a single journey has been added. Previously if the users wanted to change a return booking to one-way, they had to go through the full booking flow and submit the changes in the end. Now a shortcut is available that will immediately attempt to remove a selected journey from the booking and display a confirmation to the user if successful. An enhanced timetable shortcode is now available that enables the user to search by date for relevant departures in CarRes and see the full departure schedule and availability. An [iCalendar] shortcode is now available that will display links on the booking confirmation page to add journeys to calendars. The feature uses the standard iCalendar (.ics) format that allows most calendar applications to automatically create a calendar entry. Enhancements have been done to make it possible to book Timeslot Categories online with web Services are enhanced to support timeslot categories. Also, we've done enhancements on the Component WEB to support timeslot bookings. All types of Timeslot Categories are supported, both regular and combined categories. Bookings can be created and modified, and it is possible to do an availability search to see what's available. The Carus Car Automats now have enhanced support for handling identification and check-in via vehicle On Board Units (OBE's), transponders, placed in the windscreen of the vehicle. The use of OBE's enable automatic identification of a vehicle approaching, loading of the appropriate customer profile and booking in CarRes and charging the passage via the issuer of the OBE. CarRes has support for accepting a wide range of OBE's as method of payment via integrations to EasyGo and BroBizz. For more information, please contact Carus Support. We've improved security for applications Scanner and tMOBI. This can now be run over the latest industry standard TLS 1.2. We have also begun centralizing all authentication through an API Gateway. Once you've moved your applications to API Gateway it means that you do not need to open specific IP-addresses for access. If this sounds interesting for you, don't hesitate to contact Product Management. We've continued our work improving our self-service cargo booking interface, CargoWeb. You can now define user roles for each logged in user. The Customer's main user can administrate the privileges for the company's sub-users, e.g. limit the user's privileges to update information. Read more in the Release Notes. With this release, we have further extended the range of industry standard RFID MiFare cards. Not only do we support MiFare Classic 1K cards, but now also MiFare Ultralight and Ultralight C. While these cards can hold less information than their Classic sibling, the key benefit is that they are significantly cheaper per card, making them suitable for use cases where cards are disposed after the journey.